A rich source of vitamin B12. The body needs B12 to convert the chemical homocysteine, that is associated with diabetes, osteoporosis and heart disease into other harmless substances. Scallops are also rich in Potassium and Magnesium two of the minerals needed for healthy blood vessels. 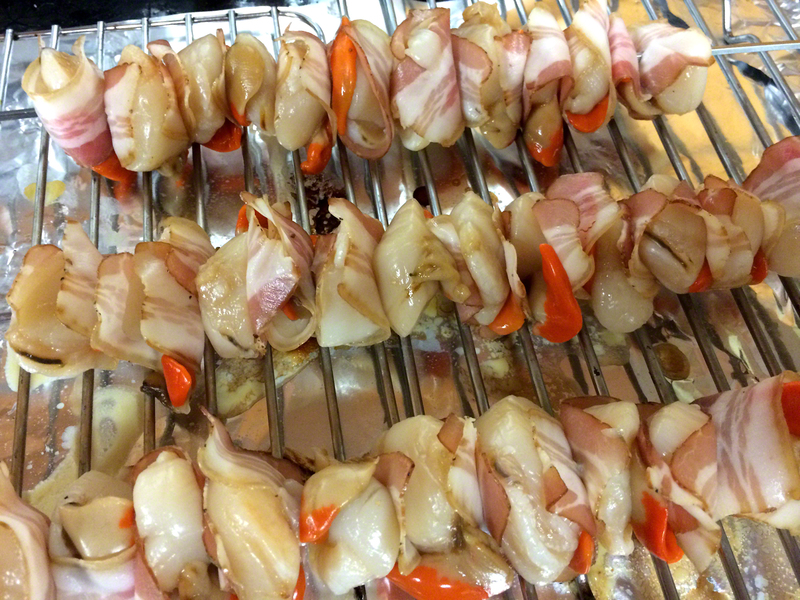 Wrap individual Scallops in shaved streaky or belly bacon and place on a skewer. Lightly grill, turning occasionally until the bacon starts to brown, being careful not to over cook. Serve as an entree with a squeeze of fresh lemon juice. 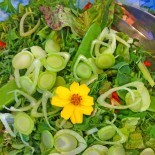 Serve as a mains on a bed of riced or mashed potato with a side of fresh super food salad greens fresh from the garden.